Our comprehensive Funerals Minibus York client package is designed to ensure that your funeral transportation activities run smoothly and seamlessly. We understand how important it is for everything to go as planned, and for your guests to feel at ease on days like this. So, rather than having your attendees scramble to get from one location to another, rely on our minibusses to carry them and to bring them all to their destination on time. 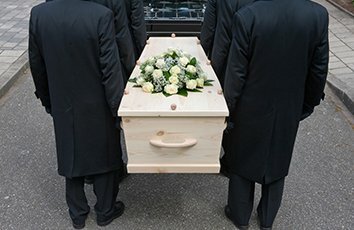 We transport funeral guests to York Cemetery, Fulford Cemetery, Mowthorpe Garden of Rest, the Ashes Pet & Equine Crematorium, Tadcaster Cemetery, St. James’ Cemetery, Stonefall Cemetery, and Knaresborough Cemetery regularly, and we can plan our journeys so that everyone attends church services on time. We make it easy for you to coordinate your activities on the day by bringing all of the people you rely on to organize, help and provide moral comfort at the ceremony together. Ensure that all your relatives and friends attend the ceremony and that everything goes according to plan with a simple call to our office. York Minibus will take care of all your guests’ transport needs, enabling you to focus on other aspects of the arrangements. Simply get in touch and mention our Funerals Minibus York package to our representative.